I eat salads like they’re going out of fashion especially at this time of year. This one is particularly hearty and good if you’re after something a little more substantial. Today I went for sweet potatoes but you could add almost anything to this salad and it would be good… squash, beetroot, goats cheese, boiled eggs, toasted walnuts. Preheat oven to 180°c (160°c fan) gas 4. Cook the pearl barley as per packet instructions (mine took 1 hr to boil) and leave to cool. 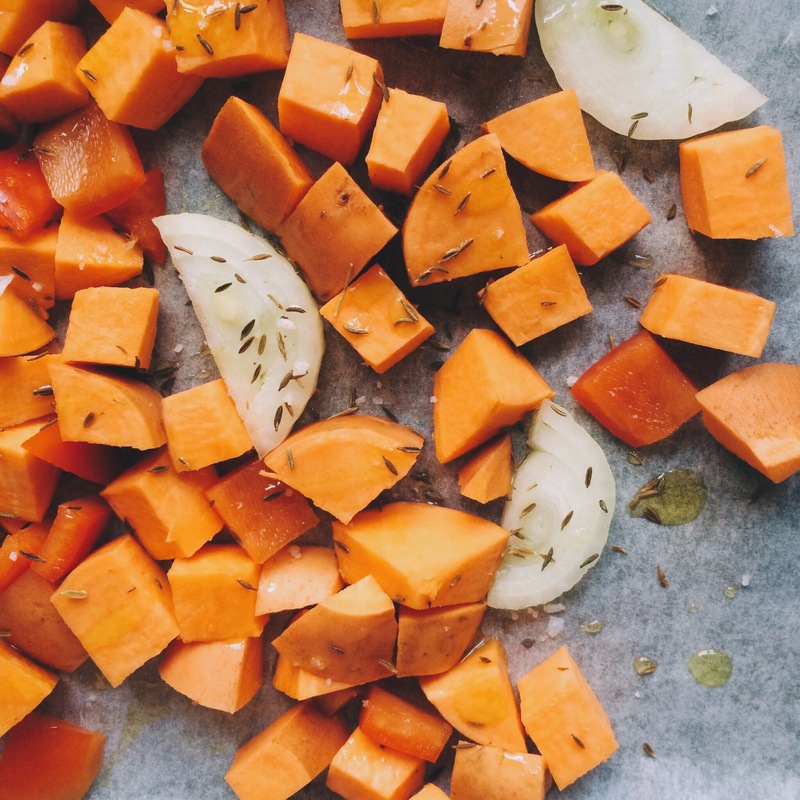 Meanwhile chop the sweet potatoes, onion and pepper into 1inch chunks, drizzle over a little olive oil, some sea salt and the cumin seeds. Put in the oven to roast for around 30 minutes or until soft and brown. Leave to cool. 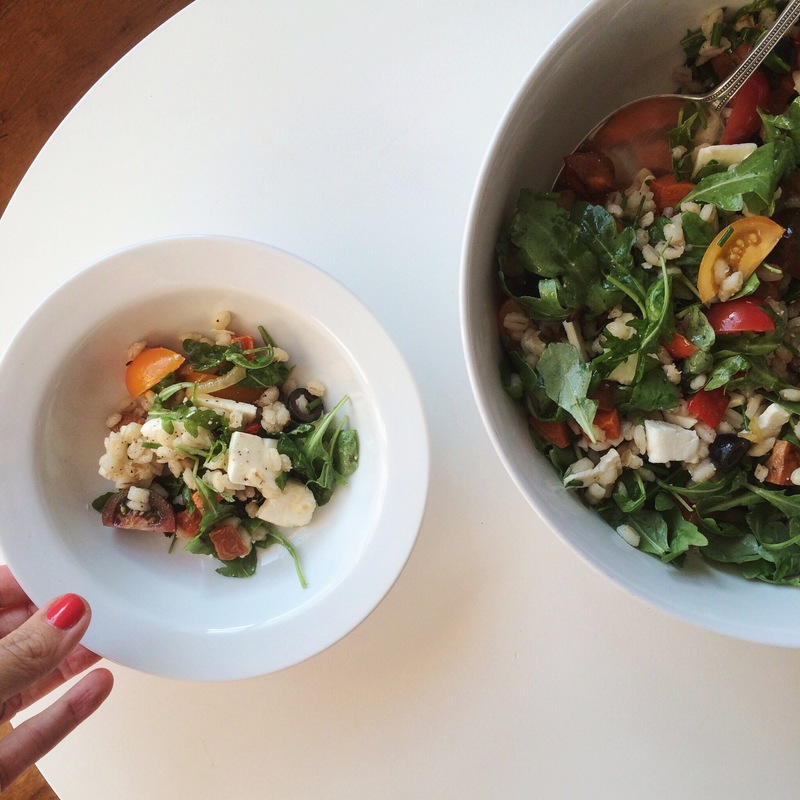 In a large bowl combine the barley with the roast vegetables and add all the other salad ingredients. I made a simple salad dressing of white wine vinegar, olive oil and pepper to drizzle over.